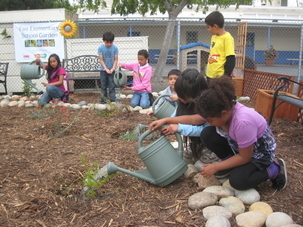 In response to California's extreme drought and the need for water resilience, LAUSD has undertaken a comprehensive program of water stewardship programs that highlight water efficiency, stormwater capture, recycled water, and increased conservation behavior through education and awareness. The District's multi-faceted drought response program includes partnerships with the City of Los Angeles, Los Angeles Department of Water and Power (LADWP), the Metropolitan Water District (MWD), TreePeople, the Council for Watershed Health, and the State Water Resources Control Board. Where does our water originate? 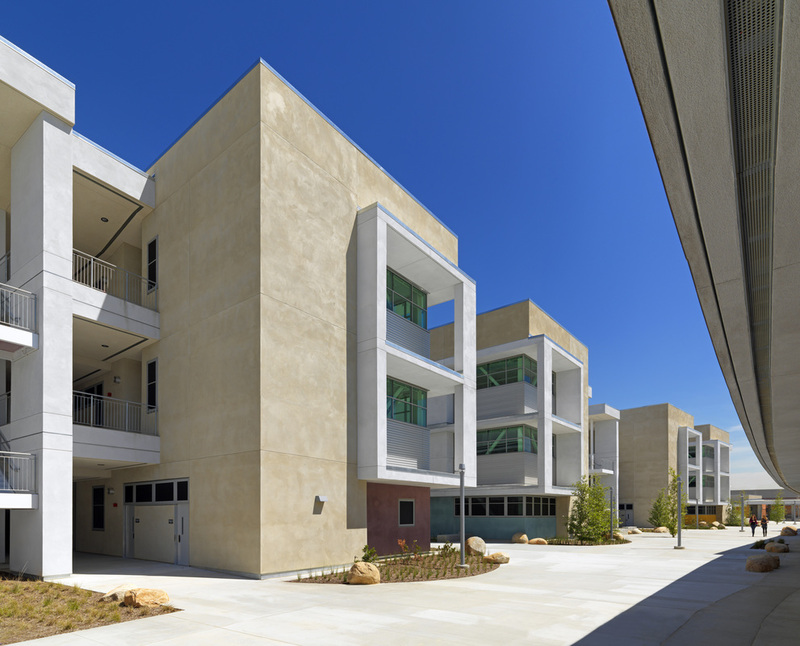 Michelle Obama Elementary (top) and Sotomayor Learning Center (middle) are both LEED certified buildings. Students at Fair Elementary (bottom) learn about native plant species and their positive impact on water conservation in the school garden. The District is in the process of installing high efficiency low-flow plumbing fixtures on several campuses. To date more than 2,800 fixtures have been replaced on over 22 campuses resulting in an annual water use reduction of 30.2 million gallons. New water systems include high efficiency fixtures such as new faucet designs and low flow shower heads that meet both Collaborative for High Performance Schools (CHPS) and Leadership in Energy & Environmental Design (LEED) criteria. The incorporation of leading technology in retrofits and new school design significantly reduces the District's annual water use. Weather-based, "smart" irrigation systems are designed to use less water than traditional irrigation technology.﻿ Smart irrigation systems have been installed on 84 LAUSD campuses. The District continually works to recognize and investigate opportunities to utilize innovative and emerging water efficiency technologies. The District supports the LADWP/MWD initiative to replace turf with drought-tolerant landscaping to reduce LAUSD's water consumption. Additionally, the District revised its approved plant palette to encourage the use of native and drought-tolerant landscaping on academic and administrative campuses. Once established, the approved plants require very little water compared to plants traditionally used for landscaping. An interactive version of the approved plant list, Plant Book LA, was developed by the Council for Watershed Health under a Proposition 84 grant from the State of California. The District has several conservation campaigns including the recent partnership with Mayor Eric Garcetti's Save the Drop initiative. Other outreach programs include Drought Response Outreach Program for Schools (DROPS) and Proposition 84. The District is also working with several community-based organizations that provide programs that raise awareness about water stewardship. State grants are funding low impact development projects on six campuses, featuring bioswales, permeable pavement, and rooftop harvesting. 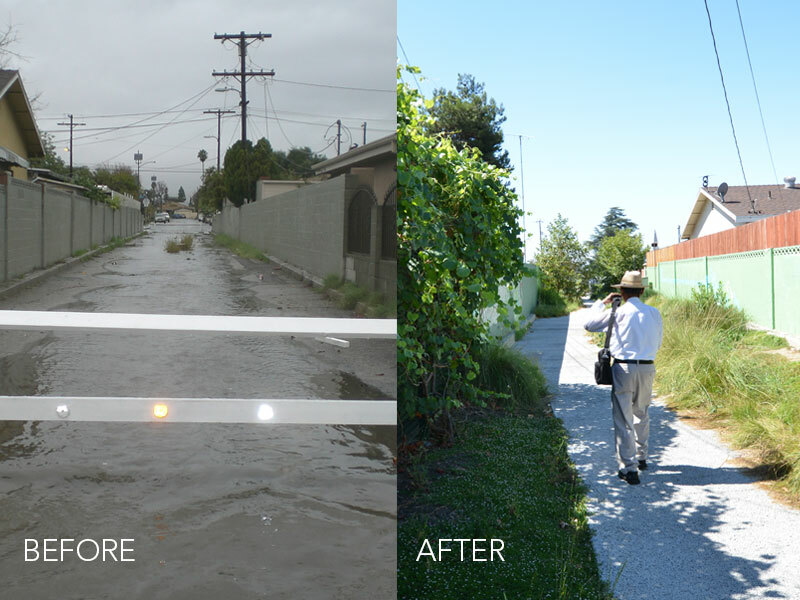 In partnership with LADWP & MWD, LAUSD is utilizing the stormwater capture plan to identify opportunities for LID projects in the San Fernando Valley. ​​Click here to learn more. The District is expanding the number of campuses with recycled water systems through our relationship with Los Angeles Department of Water and Power (LADWP). 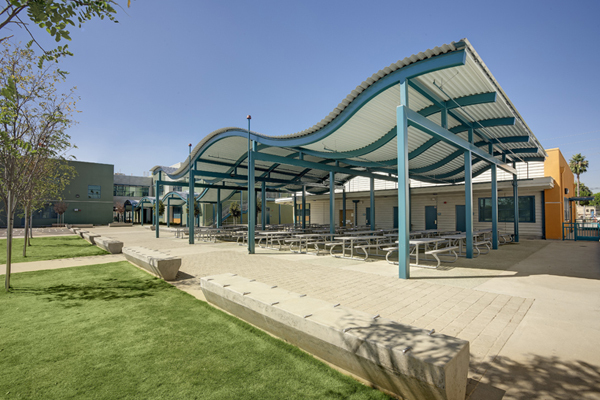 To date, LAUSD has installed recycled water systems on three campuses: Van Nuys High School, Sotomayor Learning Academies, and Playa Vista Elementary School. The availability of recycled water on these campuses is predicted to save millions of gallons of water annually. Recycled water, transferred through purple pipes, is solely used for District landscape irrigation at this time. The Greater Los Angeles Area has four water reclamation plants that collectively treat over 460 million gallons of water per day. Additionally, the District has installed water recycling systems at our bus garages as required by California law for all car washes. Water used to wash the vehicles is filtered and reused.